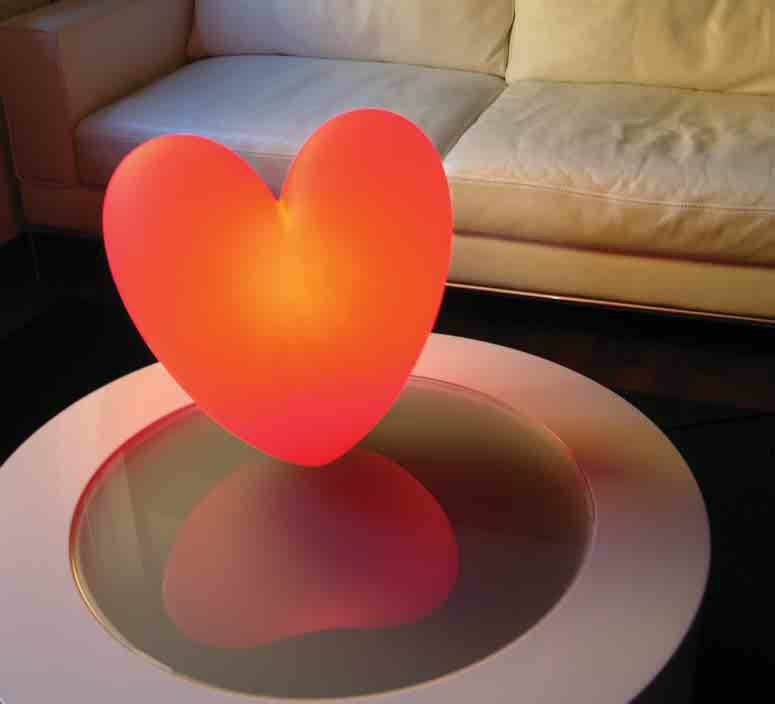 A romantic idea and a pop art shape come together in a very communicative creation. 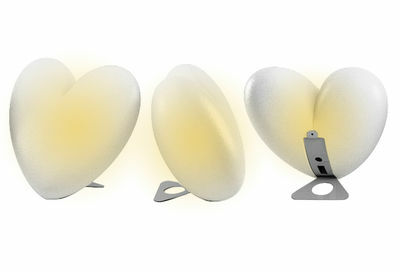 Stefano Giovannoni designed his new, heart-shaped lamp for Slide with a silver metal stand. Rotational moulded polyethylene was chosen to guarantee lightness and adaptability, making it an excellent solution to add a touch of light and fun to homes and other areas.